Tade Ipadeola, is the author of an impressive poetry volume, The Sahara Testaments, which is on the shortlist of the 2013 Nigeria Prize for Literature. 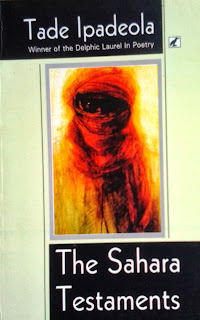 "Uche Umez: The Sahara Testaments appears to be the largest volume of poetry by a Nigerian I have read in recent times. 184 pages. How long did it take you to write such an impressive volume? Was there a point when you thought it wasn’t worth completing and had to give up? Tade Ipadeola: I’m sure there are larger volumes of poetry out there. The thing with poetry though, is that size means nothing if there is no substance to it. People study Elizabeth Browning’s incredibly long poem, Aurora Leigh, as well as the really slim Goblin Market by Christina Rosetti. 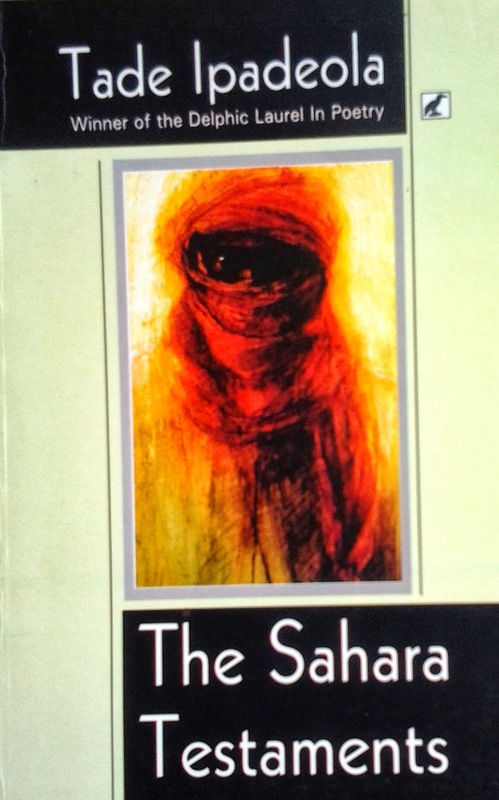 The actual writing of The Sahara Testaments took about four years, although the material had been gathering in my mind since 2003..."